New Delhi, Mar 22, 2019 : Blending regional knowledge and keeping pace with the changing times, these brands have built a name for themselves, Yahoonews reported. Back in 80-90s when PepsiCo and Coca Cola made a foray into Indian market and gained a dominant hand over the beverage industry, a few would have imagined that multiple homegrown brands would emerge to rival them. From Thums Up to Rasna, Rooh Afza, Limca, among others, there has been a surge of other Indian beverage brands that have set their foot afirm in the market lately. Among these are big names such as Paper Boat, raw juices along with local soft drinks and beverages brands that have been giving Coca Cola and Pepsi a run for their money. Confined to regional pockets, such as Alwar-based Jayanti group to Gujarat-based Hajoori and Sons, these cola brands have slowly and steadily pulled the rug from under Pepsi and Coca Cola s feet. Blending regional knowledge and keeping pace with the changing times, these brands have built a name for themselves. Take for instance Jayanti group. With a quirky and colourful website that is evidently aimed at the younger generation, Jayanti Group goes with the tagline – Be Indian, Buy Indian. The brand sells Jaljeera drink, something that is associated with Indian summers. It has also introduced products that resonate with the current generation. Baba Ji ki Thug Life – Totka, a beverage drink is one such instance. There are plenty of these brands including Delhi s City Cola, Boss Beverages from Bareilly and Shri Brahm Shakti Prince Beverages of Delhi. An understanding of Indian sensibilities and culinary expectations could be a reason behind their success. Each local soft-drink has a distinct flavor which the consumers are accustomed to and prefer. Cold drinks are a lot dependent on organoleptic dependence, a property that pulls in taste and smell together a factor that is difficult to change in preferences., Chandramouli N, CEO at TRA Research said. Talking about the success of these brands in their respective regions, There are many local aerated beverage brands which have a strong hold in their own regions. Local aerated beverage brands have built a loyal customer base over decades of presence and preference. Local brands are legendary, they have a loyal following and they have kept their turf over decades of market wars. There are six major cities where local brands are a threat to the big brands, defending their turf, Chandramouli N told Financial Express Online. Not naming these cities, he added that in such areas, local brands contribute anything between 50% to 80% of the market share. Meanwhile, Nielsen India denied commenting on the market share citing client confidentiality policies in place. What s there in a local brand? While Coca Cola and Pepsi may have global backing, regional brands come with the tag of regional, thus being not-foreign . This helps local brands whenever a regional or nationalistic outbreak happens, said Chandramouli N.
For example, during the Jallikattu protests in Tamil Nadu, both Coke and Pepsi were banned by the local populace. During the Iraq war again, Coke, seen as a representative of American imperialism by some, was banned by many of the middle-east countries and also in parts of India. Any small brand which can hold off the big brands is carries the appeal of a hero brand, and represents more than just a colored drink in a bottle. It represents a philosophy that the consumer believes in, he added. 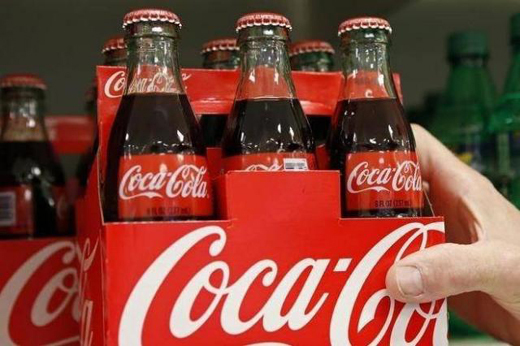 Speaking about Coca Cola s regional venture called Colour, a generic name given to soft drinks in Tamil Nadu, Chandramouli N said that Coke s probable expectation is that when consumers ask for a cold drink by its generic name, they would get its brand in replacement and slowly enter the consumer s consideration set. He concluded by saying that the local Brands have to adopt such complex strategies to enter strongholds of local aerated beverage brands.